TO ENTER THE CRYPTEX HUNT (the “Contest”) you must complete each puzzle correctly and submit your answers through our interface through a registered account. In the event of a dispute, entries received shall be deemed to be submitted by the registered account holder at the time of entry. Limit of one (1) entry per household. Contest starts February 24, 2018 and closes March 4, 2018 (the “Contest Period”). No purchase necessary. Void where prohibited. The contest sponsor is CRYPTEX® (hereinafter referred to as the “Contest Sponsor”). Puzzle creators, employees, and their respective parents, siblings and children, and persons domiciled with them, their respective agents, parent, affiliated or related companies, subsidiaries, divisions, prize sponsors, and promotional and advertising agencies and administrators, are ineligible to enter. Prizes include two Cryptexes® and other prizes to be announced. Prize must be accepted as awarded and may not be sold or transferred, and is not convertible to cash. Contest Sponsor reserves the right to substitute prizes in the event a certain prize is unavailable. Shipping costs domestic or international will be covered by the contest sponsor, but any import duties, taxes or fees will be the responsibility of the winner. Prize winners are solely responsible for all costs not expressly described herein. On or after March 4th, 2018 all eligible entries received during the Contest Period will be evaluated and the winners announced. Contest Sponsor will attempt to contact the potential winners by the information they have provided. Proof of identification must be provided upon request. Acceptance of the prize assumes that the potential winner has read and understood these official rules and regulations (“Rules”), accepts the Prize as offered and releases the Contest Sponsor from any and all liability of any kind arising out of the potential winner’s participation in this Contest and receipt and use of the Prize. First prize will be a custom made Cryptex® and will be awarded to the entrant who has completed the puzzle hunt first. 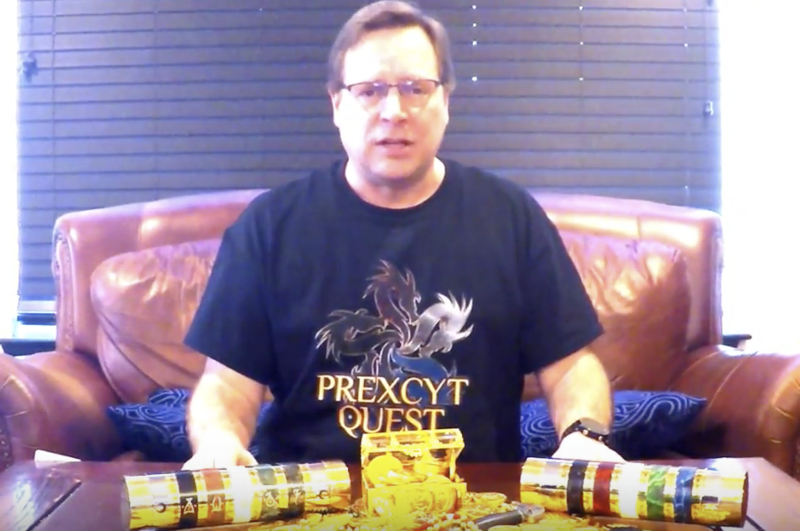 Second prize will be a Cryptex® and will be a draw amongst all participants who have finished the hunt. Odds of winning second prize will depend upon the total number of eligible entries received during the Contest Period. By entering this Contest, the entrants and participants automatically agree to accept and abide by these Rules. All decisions of the Contest Sponsor with respect to any aspect of this Contest, including without limitation the eligibility of entries, are final and binding on all entrants in all matters as they relate to this Contest. All entries become property of Contest Sponsor who assume no responsibility for garbled, lost, late, delayed, destroyed or misdirected data or any computer errors or malfunctions. Contest Sponsor does not assume any responsibility for incorrect or inaccurate capture of entry information, technical malfunctions, human or technical error, seeding or printing errors, lost, delayed or garbled data or transmissions, omission, interruption, deletion, defect or failures of any telephone or computer line or network, computer equipment, software or any combination thereof. Entry materials-data that have been tampered with or altered are void. If for any reason, in the opinion of the Contest Sponsor, in their sole discretion, the Contest is not capable of running as originally planned, or if the administration, security, fairness, integrity or the proper conduct of the Contest is corrupted or adversely affected, including by reason of infection by computer virus, bugs, tampering, unauthorized intervention, fraud, technical failures or any other causes beyond their control, Contest Sponsor reserve their right to cancel, terminate, modify, amend, extend or suspend the Contest including canceling any method of entry, and select a winner from previously received eligible entries. Contest Sponsor reserves the right to modify the Rules without materially affecting the terms and conditions hereof. The Contest Sponsor reserves the right in their sole discretion to disqualify any individual they find to be tampering with the entry process or the operation of the Contest or to be acting in violation of the Rules or otherwise in a disruptive manner. Any attempts to deliberately damage the Contest web site or to undermine the legitimate operation of this Contest is a violation of criminal and civil laws and should such an attempt be made the Contest Sponsor reserve their right to seek remedies and damages to the fullest extent of the law. Contest Sponsor shall not be held responsible for any errors or negligence that may arise or occur in connection with the Contest including any damage to an entrant’s computer equipment, system, software or any combination thereof, as a result of their participation in this Contest or from using any material from the Contest website. Contest is subject to all applicable federal, state, and municipal laws and regulations. By entering this Contest, each entrant consents to the collection, use of his or her personal information (information that identifies an entrant as an individual, such as home telephone number, age and home address) by the Contest Sponsor for the purposes of implementing, administering and fulfilling this Contest. Contest Sponsor will not sell or transmit this information to third parties except for the purposes of administering this Contest. In the event of any discrepancy or inconsistency between the terms and conditions of the Contest Rules and disclosures or other statements contained in any Contest related materials, including but not limited to the Contest entry form, or point of sale, television, print or online advertising, the terms and conditions of the Contest Rules shall prevail, govern and control. All intellectual property, including but not limited to trade-marks, trade-names, logos, designs, promotional materials, web pages, source codes, drawings, illustrations, slogans and representations are owned by the Contest Sponsor and or their affiliates. All rights are reserved. Unauthorized copying or use of any copyrighted material or intellectual property without the express written consent of its owner is strictly prohibited.